Local boutiques setup popup shops in this space hosted by Refinery29 and Simon. Lol I made an Ugly tote that I want to peel everything off of. Indie Boutiques + National Brands: Refinery29 and Simon will invite indie boutiques with local reach and relevance to participate in The Shopping Block. This will create an interplay between the native, in-market shopping experiences and the very best national retail brands, all within the mall landscape. 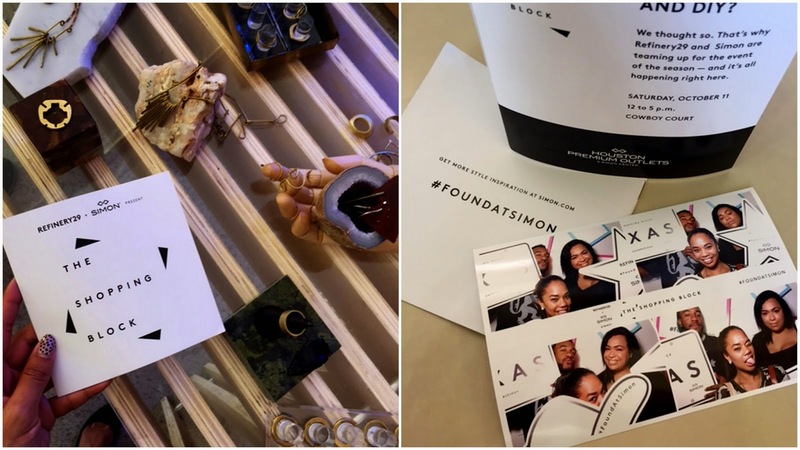 Stylist Concierge: The Shopping Block attendees will receive curated style guides that highlight fall’s biggest trends, and where to shop them at Simon retailers. Guest Hosts: At each event, city insiders—chosen from local tastemakers in style, fashion and lifestyle industries—will act as hosts. Sweepstakes: Shoppers can participate in a digital sweepstakes at the event for a chance to win retail prizes, valued at a minimum of $1,000, from Simon premier retailers. Beauty Bars: Makeup artists will be on-hand at pop-up beauty bars to give shoppers mini makeovers, and share the latest beauty tips from the experts at Refinery29. 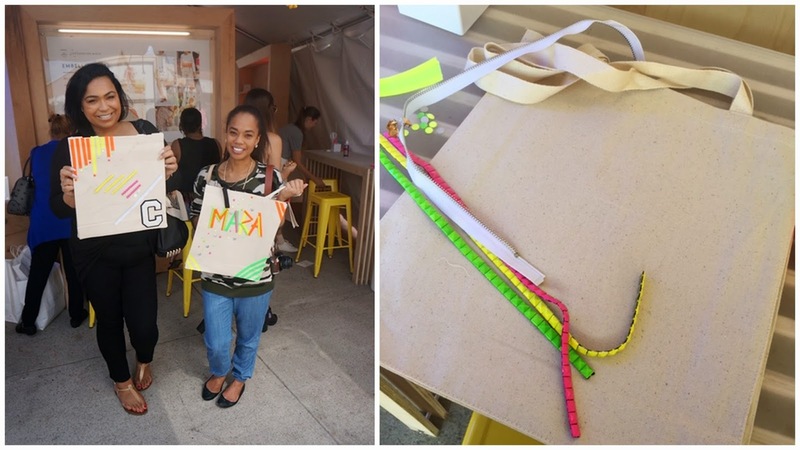 DIY Station: The Shopping Block guests will have an opportunity to personalize tote bags, taking inspiration from Fall 2014 runway trends. 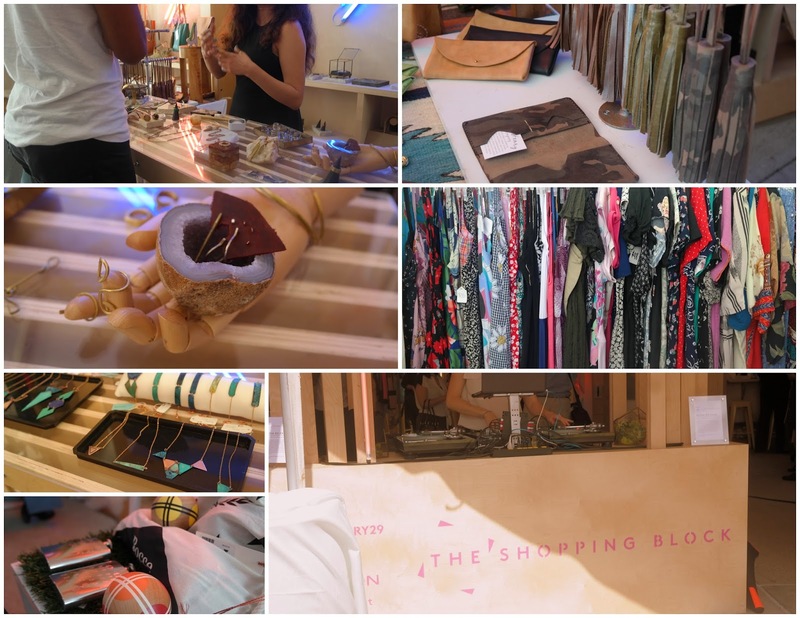 The Shopping Block looks like a fabulous event. Wearing a sweater and having the weather warm up is better than not having the sweater and having it get colder. I love the photos.